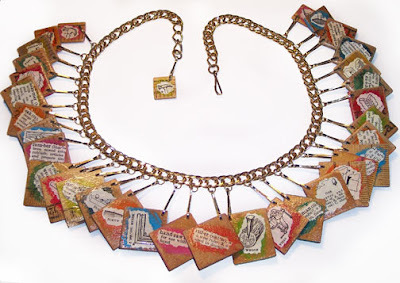 I made this necklace all the way back in February, specifically for Terry Taylor’s new book on wood jewelry, published by Lark. It features vintage rulers and yardsticks, and little wood-related images and definitions from a vintage dictionary. 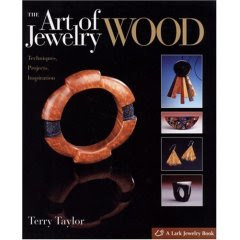 When I received my contributor’s copy of this book, I was mesmerized…I never would have imagined all the different styles of wearables that can be achieved with wood. Carved wood, turned, inlaid, found objects, just on and on. The book is gorgeous, and I am extremely proud to have a project included in it!